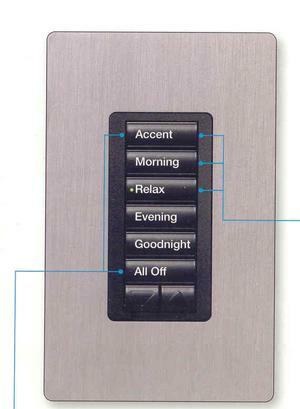 Keypads are the heart of a RadioRA 2 system, they send the RF signals to the installed dimmers telling them what to do. So while you can adjust lighting levels with them they are not wired to your lights and simply send RF commands to devices. Standard keypads are only powered devices and are typically "cut in" or ganged near or next to the installed dimmers, a neutral wire is needed. 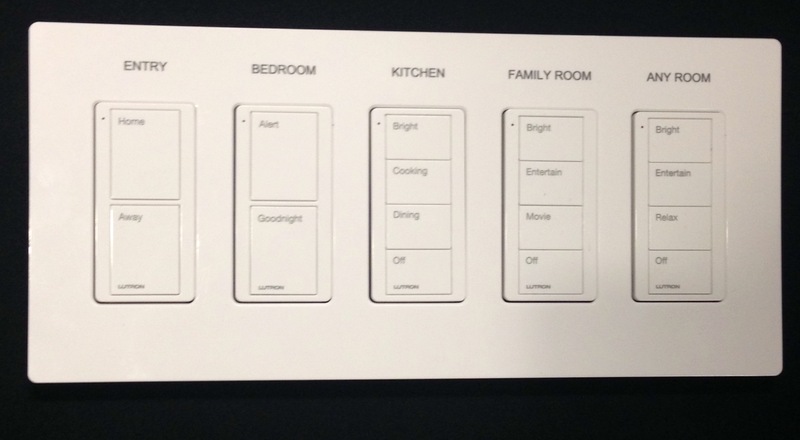 You decide what you want each button to say, plus the number of dimmers each button controls. Lutron provides FREE button engraving. 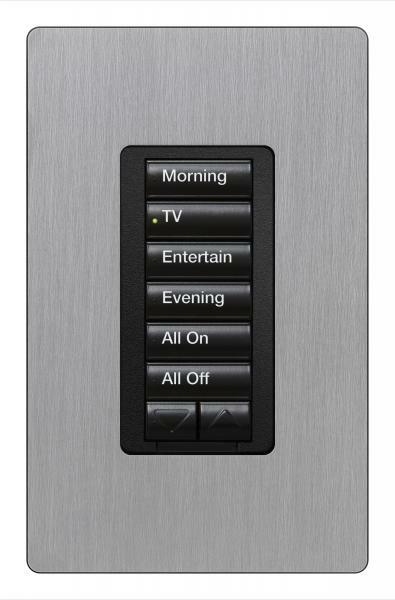 In wall keypads come in a variety of button options, each button on the keypad can control a single dimmer or group of dimmers to create an exciting lighting scene. No matter your preference they are all priced the same and the number of buttons can be increased or reduced to suit your specific requirements at the keypad button engraving stage. 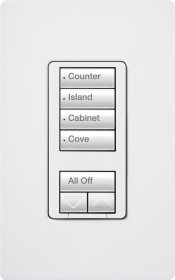 There is a new C.L Hybrid keypad where the built in dimmer will be able to control cfl and led loads. This is exciting news as the keypad will now allow you to replace an existing switch or dimmer without having to "cut in" The Hybrid Keypad functions as both a dimmer and keypad button which is combined into a single device, this is great for retro-fit since they eliminate the need to install two separate devices. Imagine how convenient this would be for your application. Note: C•L hybrid keypads do require a neutral-wire. Below you will see the variety of 2 and 4 button pico scene controllers to enhance your living space they can be easily wall mounted or placed on a pedestal for use on a coffee or bedside table. They are an affordable solution for kitchen Islands to create the right lighting level for preparation, dining and clean up. The new engraved pico controllers will operate with all three systems.
. RadioRA 2, RadioRA 2 Select and Caseta Wireless.